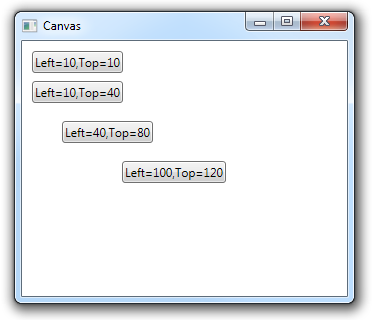 Child elements are position in a Canvas panel by specifying the location of the child element in WPF units. 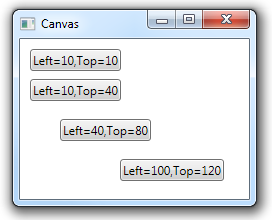 You can position all elements by specifying values for Left and Top properties only. This will position each element relative to the upper left corner of the container. 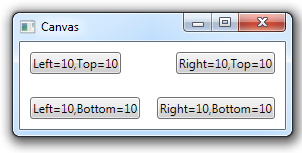 These child elements will then retain the same position from the upper left corner of the container as it is resized. You can specify a child element’s position relative to any of the four corners of the container, depending on which two of the four positioning properties you specify. 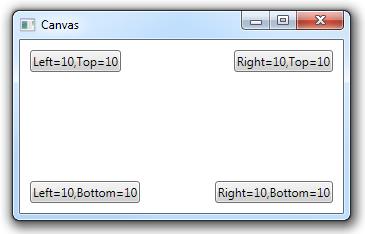 Child elements will then retain their position relative to that corner as the container is resized.